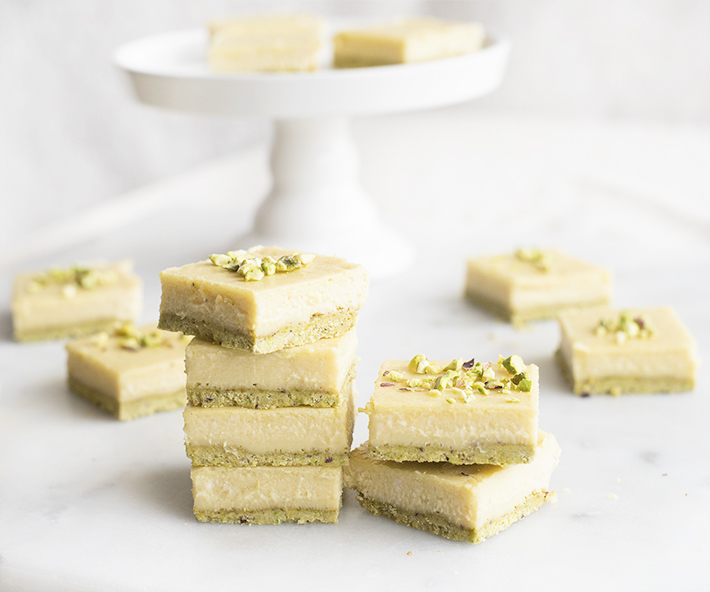 These cool and creamy bars are low in sugar, low in carbs, and high in protein, allowing you to enjoy this bar, or two…or three, without any guilt! 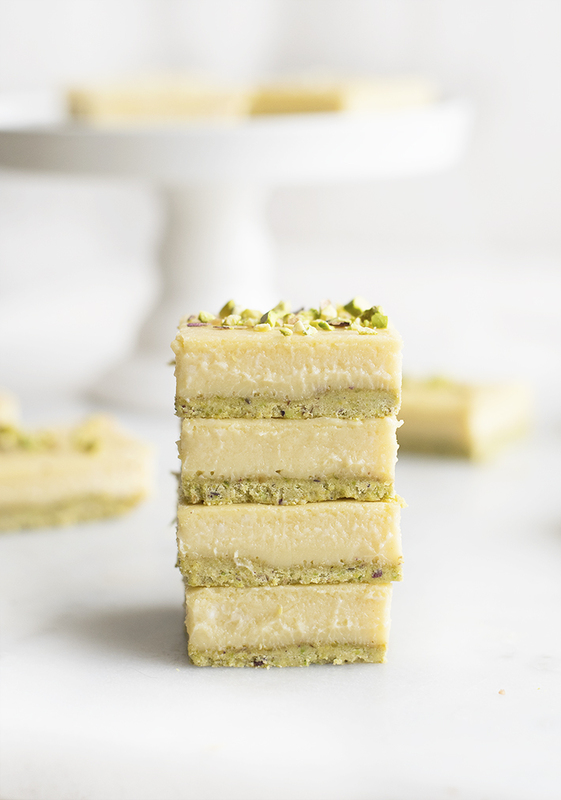 The nutty pistachio flavor pairs nicely with both the tart lime and sweet vanilla flavors, giving you more of an excuse to eat more than 1! 2. Add all of crust ingredients, except coconut oil, to a food processor. Blend until mixture resembles a flour-like consistency. Pour into a mixing bowl and add the coconut oil. Stir until mixture turns crumbly. 3. Spoon crust into a greased 8x8” baking dish. Press crust down until it covers the bottom of dish. Bake in the oven for 8 minutes. Remove from oven and let cool while you make the filling. 4. Using a hand-held mixer, beat eggs together on high speed. Add remainder of bar filling ingredients to the eggs and beat on low speed until until smooth. Pour filling on top of cooled crust. 5. Return dish to the oven and bake for an additional 26-30 minutes. 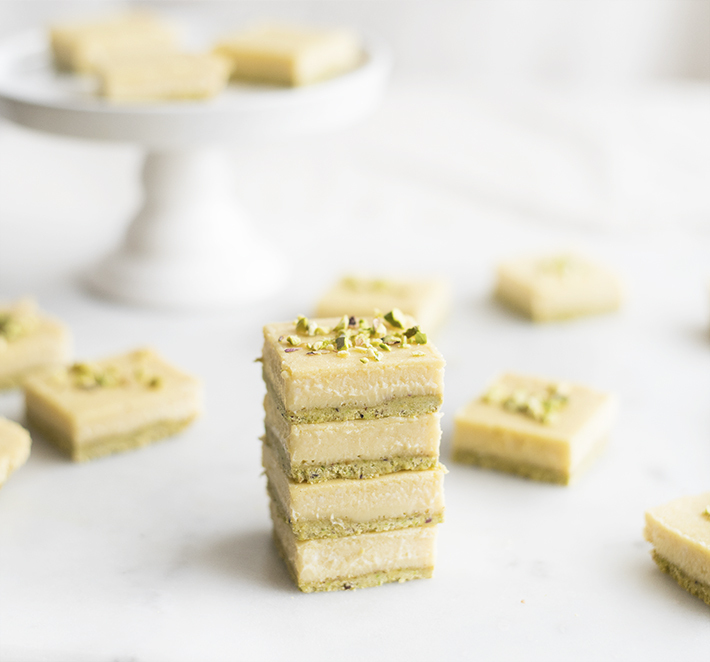 Let bars cool in the fridge for at least 3 hours. 6. 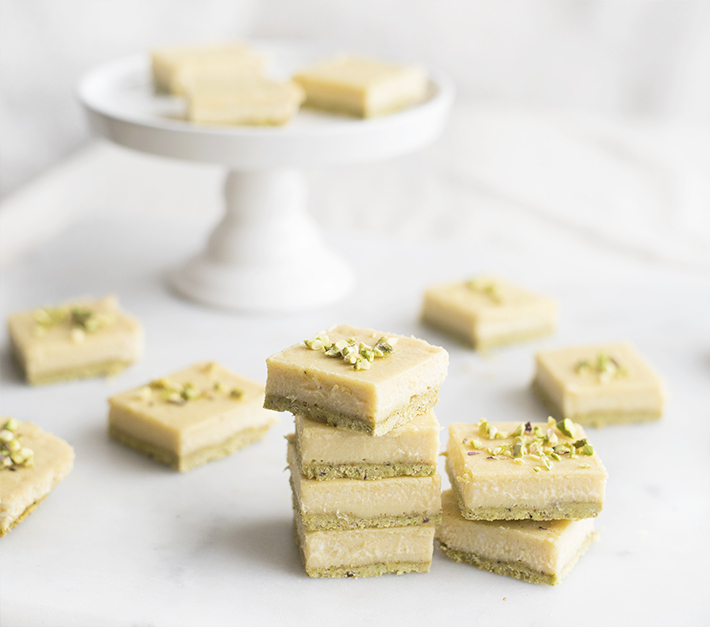 Remove from fridge and cut into 16 squares. Enjoy!